So a few months ago I was encouraged to join in on the #kittenmqs2015 on Instagram. Since you can’t keep a wolf or a seal as a pet really cats are my favorites! Growing up there was always a cat (or four) around. 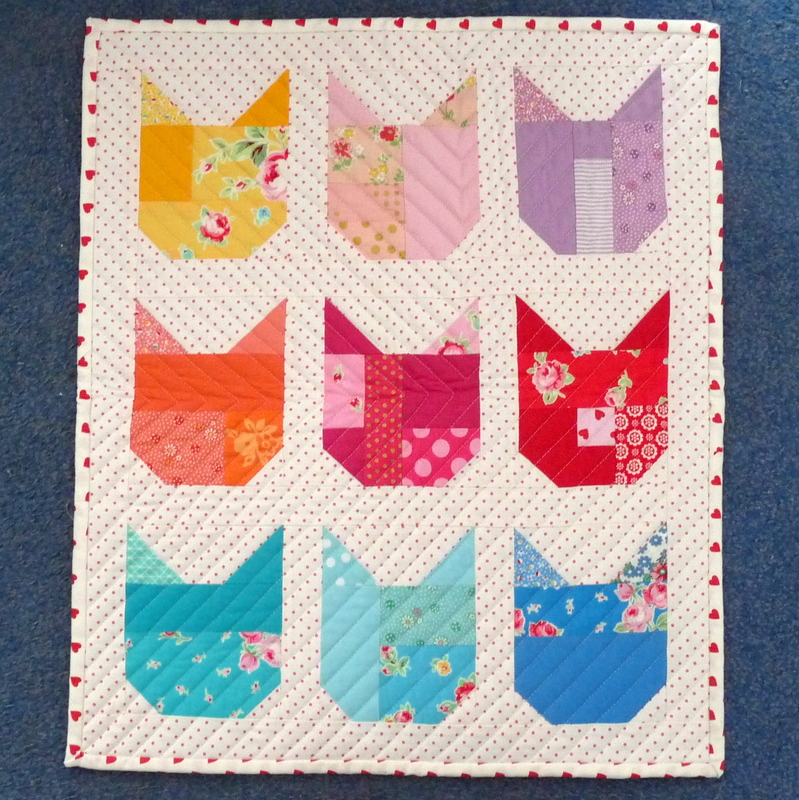 I was a little stumped over my partner as she didn’t really post much on Instagram in the end I chose a lovely cat block from the 500 Quilt Blocks book and made this…….. 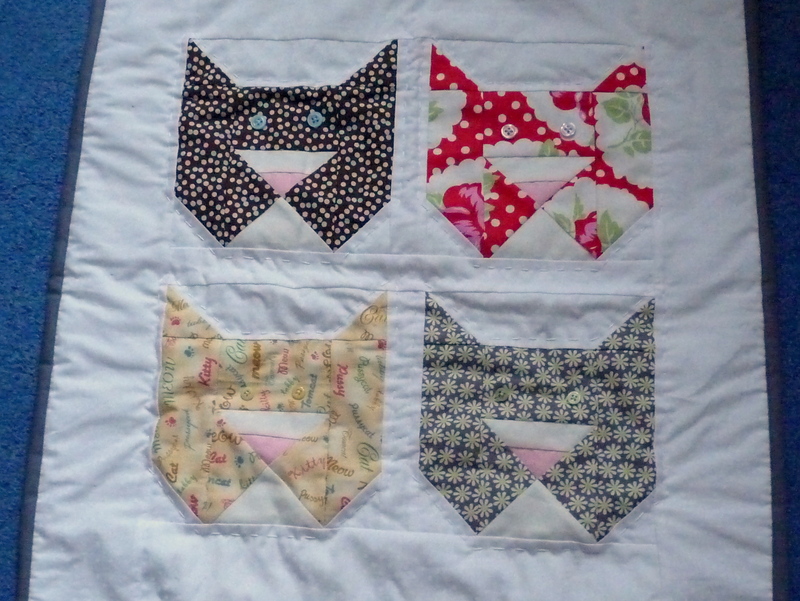 Given that my machine decided to constantly skip stitches I hand quilted around each cat and added buttons for eyes. Isn’t what I received sooooooo pretty? And in some 30s repros too. 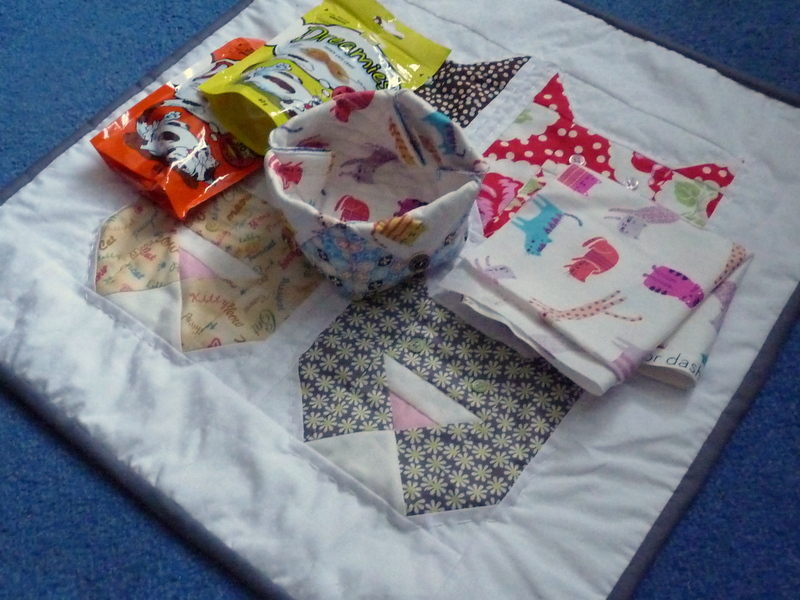 Plus just look at the cheater on the back….. Now I just need to finish (umm start) my other swap commitments. Beautiful, really beautiful, what a lovely swap idea! Lovely, I’m doing the dog one soon. 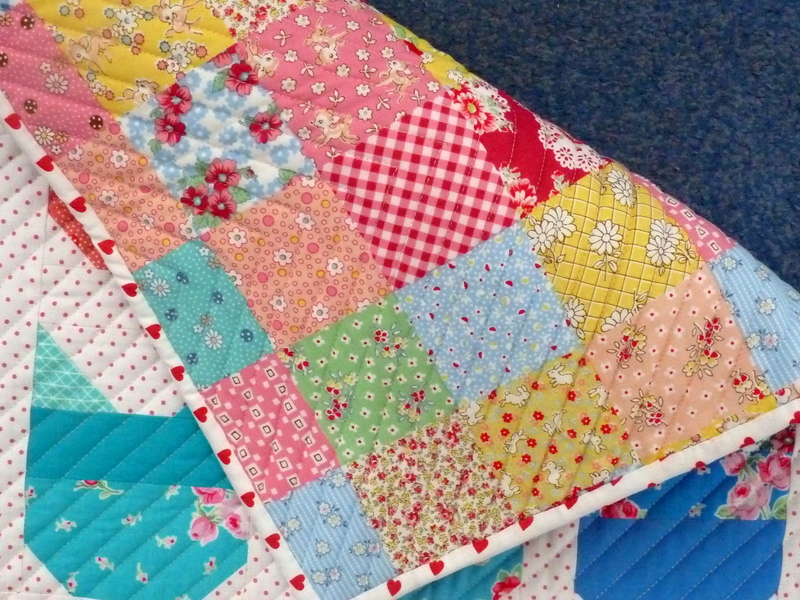 On the skipped stitches, when was the last time you changed your needle? that’s a cute block and makes a great mini! Are they planning on doing a bunny swap do you know? Who do I need to follow on Instagram!